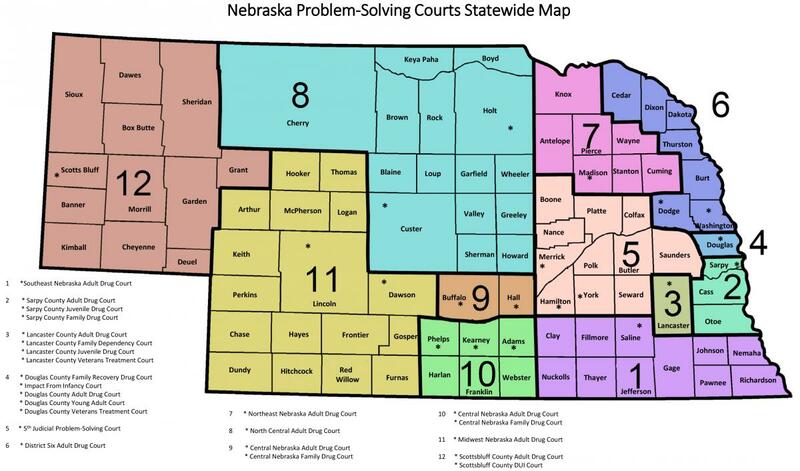 Nebraska has one county court and one district court in each county. The counties of Sarpy, Lancaster and Douglas all have a separate juvenile court. The judicial branch provides online payment services for any of the trial courts in the state. There are many different types of payments that may be made to the court. Bond payments are not allowed online. Child support payments are made to the Department of Health and Human Services. For all other payments, credit card and electronic check are accepted through the Nebraska Judicial Branch Internet Payment System. If you are uncertain if you owe money on your case, you can contact a specialist to help you. Some tickets issued by law enforcement can be paid without appearing in court. If you have been issued a citation and the document indicates that a Waiver is allowed, you can plead guilty online through the Nebraska Citation Payment Process.